Kontoes C., I. Keramitsoglou, I. Papoutsis, N.I. Sifakis, P. Xofis, National Scale Operational Mapping of Burnt Areas as a Tool for the Better Understanding of Contemporary Wildfire Patterns and Regimes, Sensors 13 (8), pp. 11146-11166, 2013. Keramitsoglou I., C.T. Kiranoudis and Q. Weng, Downscaling geostationary land surface temperature imagery for urban analysis, IEEE Geoscience and Remote Sensing Letters, 10 (5), pp. 1253–1257, 2013. Giannaros Τ.Μ., D. Melas, I.A. Daglis, I. Keramitsoglou, K. Kourtidis, Numerical study of the urban heat island over Athens (Greece) with the WRF model, Atmospheric Environment, 73, 103-111, 2013. Keramitsoglou I., I.A. Daglis, V. Amiridis, N. Chrysoulakis, G. Ceriola, P. Manunta, B. Maiheu, K. De Ridder, D. Lauwaet, and M. Paganini, Evaluation of satellite-derived products for the characterization of the urban thermal environment, Journal of Applied Remote Sensing, Special Issue: Advances in Remote Sensing for Monitoring Global Environmental Changes, 6, 061704, 2012. Keramitsoglou I., C. T. Kiranoudis, G. Ceriola, Q. Weng and U. Rajasekard. Identification and Analysis of Urban Surface Temperature Patterns in Greater Athens, Greece, Using MODIS Imagery. Remote Sensing of Environment, 115, 3080–3090, 2011. Kontoes C., D. Aifantopoulou, A.M. Deflorio, A. Fokaefs, Th. Herekakis, D. Iasillo, E. Ieronymidi, I. Keramitsoglou, C.T. Kiranoudis, G.A. Papadopoulos, S. Paralikidis, "Mapping Seismic Vulnerability and Risk of Cities: the MASSIVE Project", Journal of Earth Science and Engineering, 2, 496-513, 2012. Amiridis, V., Zerefos, C., Kazadzis, S., Gerasopoulos, E., Eleftheratos, K., Vrekoussis, M., Stohl, A., Mamouri, R.E., Kokkalis, P., Papayannis, A., Eleftheriadis, K., Diapouli, E., Keramitsoglou, I., Kontoes, C., Kotroni, V., Lagouvardos, K., Marinou, E., Giannakaki, E., Kostopoulou, E., Giannakopoulos, C., Richter, A., Burrows, J.P., Mihalopoulos, N. Impact of the 2009 Attica wild fires on the air quality in urban Athens, Atmospheric Environment Atmospheric Environment 46 (2012) 536-544. Mandellos N.A., I. Keramitsoglou and C.T. Kiranoudis, A background subtraction algorithm for detecting and tracking vehicles, Expert Systems with Applications, 38 1619–1631, 2011. Petropoulos G.P., C. Kontoes and I. Keramitsoglou, Burnt area delineation from a uni-temporal perspective based on Landsat TM imagery classification using Support Vector Machines. Int. J. Appl. Earth Observ. Geoinf., 13 (1), pp. 70-80, 2011. Kontoes, C., H. Poilve, G. Florsch, I. Keramitsoglou, S. Paralikidis, A Comparative Analysis of a Fixed Thresholding vs. a classification Tree Approach for Operational Burn Scar Detection and Mapping, International Journal Of Applied Earth Observations And Geoinformation, 11 (5), pp. 299-316, 2009. Kontoes, C., Keramitsoglou, I., Sifakis, N., Konstantinidis, P., SITHON: An airborne fire detection system compliant with operational tactical requirements, Sensors, 9 (2), pp. 1204-1220, 2009. Keramitsoglou I., H. Sarimveis, C.T. Kiranoudis, C. Kontoes, N. Sifakis and E. Fitoka, The performance of pixel window algorithms in the classification of habitats using VHSR imagery, ISPRS Journal of Photogrammetry and Remote Sensing, 60 (4), pp. 225-238, 2006. Keramitsoglou I., H. Sarimveis, C. T. Kiranoudis, and N. Sifakis, Radial Basis Function neural networks classification using very high spatial resolution satellite imagery: An application to the habitat area of Lake Kerkini (Greece), International Journal of Remote Sensing, Vol. 26, No. 9, pp. 1861–1880, 2005. Mander U., J. Mitchley, I. Keramitsoglou, M. Bock, and P. Xofis, Earth observation methods for habitat mapping and spatial indicators for nature conservation in Europe, Editorial, Journal of Nature Conservation, Vol. 13, No. 2-3, pp. 69-73, 2005. Keramitsoglou I., C. Kontoes, N. Sifakis, J. Mitchley and P. Xofis, Kernel based re-classification of earth observation data for fine scale habitat mapping, Journal of Nature Conservation, Vol. 13, No. 2-3, pp. 91-99, 2005. Kobler A., Dzeroski S., and I. Keramitsoglou, Habitat mapping using machine learning-extended kernel-based re-classification of an IKONOS satellite image, Ecological Modelling, Ecological Modelling, Vol. 191, pp. 83–95, 2006. Keramitsoglou I., C. Cartalis and C.T. Kiranoudis, Automatic Identification of Oil Spills on Satellite Images, Environmental Modelling & Software, Vol. 21, No. 5, pp. 640-652, 2006. C. Varotsos, C. Cartalis, A. Vlamakis, C. Tzanis and I. Keramitsoglou, On the long-term coupling between column ozone and tropopause properties, Journal of Climate, Vol. 17, No. 19, pp. 3843-3854, 2004. Keramitsoglou I., C. T. Kiranoudis, H. Sarimveis, and N. Sifakis, A multidisciplinary decision support system for forest fire crisis management, Environmental Management, Vol. 33, No 2, pp. 212-225, 2004. Stathopoulou M., C. Cartalis and I. Keramitsoglou, Mapping micro-urban heat islands using NOAA/AVHRR images and CORINE Land Cover: An application to coastal cities of Greece, International Journal of Remote Sensing, Vol. 25, No 12, pp 2301-2316, 2004. Sifakis N., D. Paronis and I. Keramitsoglou, An application of AVHRR imagery used in combination with CORINE Land Cover data for forest-fire observations and consequences assessment, International Journal of Applied Earth Observation and Geoinformation, Vol. 5, No. 4, 263-274, 2004. Keramitsoglou I., C. Cartalis and P. Kassomenos, Decision Support System for monitoring oil spill events, Environmental Management, Vol. 32, No. 2, pp. 290-298, 2003. Cartalis C. and I. Keramitsoglou, Analysis of TOMS-derived Lambert-equivalent reflectivities for the period 1996-2002, International Journal of Remote Sensing, International Journal of Remote Sensing. Vol. 26 (16): 3597-3603, 2005. M. Petrakis, B. Psiloglou, I. Keramitsoglou, C. Cartalis and M. Lianou, Εvaluation of forest fire risk and fire extinction difficulty at the mountainous park of Vikos-Aoos, northern Greece using remote sensing and GIS techniques, Int. Journal of Risk Assessment and Management, Vol. 5, No 1, 50-65, 2005. Keramitsoglou I., Asimakopoulos D. N., Cartalis C., Petrakis M., Argiriou A., Sifakis N., Kassomenos P., Theophilopoulos N. , Ntziou I. and Herrero A. M., An Operational System For Monitoring Oil Spills In The Mediterranean Sea: The “Promed” System, Mediterranean Marine Science, Vol. 4/2, pp 65-72, 2003. Keramitsoglou I., J. E. Harries, D. J. Colling, R. A. Barker and J. S. Foot, A study of the theory and operation of a resonance fluorescence water vapour sensor for upper tropospheric humidity measurements, Meteorological Applications, Vol. 9, No 4, pp 443-453, 2002. Keramitsoglou I., J.E. Harries and J.S. Foot, Measurements of Upper Tropospheric Humidity using airborne in-situ sensors, Phys. Chem. Earth (B), 24, No 8, 939-944, 1999. Keramitsoglou, I. 2012. 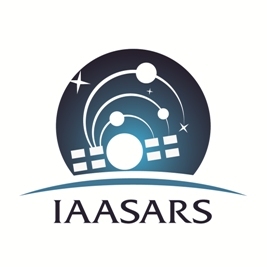 “Advanced earth observation methodologies for the study of the Thermal Environment of Cities.” Second International Workshop on: Earth Observation and Remote Sensing Applications (EORSA), 2012, 11–15. Kontoes, C., I. Keramitsoglou, I. Papoutsis, T. Herekakis, D. Michail, P. Xofis, M. Koubarakis, et al. 2012. “Operational wildfire monitoring and disaster management support using state-of-the-art EO and Information Technologies.” Second International Workshop on: Earth Observation and Remote Sensing Applications (EORSA), 2012, 196–200. Daglis, IA, A. Rontogiannis, A. Anastasiadis, O. Sykioti, G. Balasis, I. Keramitsoglou, D. Paronis, V. Tsaoussidis, and S. Diamantopoulos. 2012. “Enhancing space data exploitation through advanced data routing protocols.” 10th Hellenic Astronomical Conference, Proceedings of the conference held at Ioannina, Greece, 5-8 September 2011. Edited by Iossif Papadakis and Anastasios Anastasiadis., pp. 10-10 1: 10–10. Daglis, I., O. Sykioti, A. Anastasiadis, G. Balasis, I. Keramitsoglou, D. Paronis, A. Rontogiannis, and S. Diamantopoulos. 2012. “Space mission characteristics and requirements to be addressed by space-data router enhancement of space-data exploitation.” Wired/Wireless Internet Communication: 366–373. Kontoes, C., I. Papoutsis, D. Michail, T. Herekakis, M. Koubarakis, K. Kyzirakos, M. Karpathiotakis, et al. 2012. “Wildfire monitoring via the integration of remote sensing with innovative information technologies.” EGU General Assembly Conference Abstracts 14: 7916. Keramitsoglou, I., and CT Kiranoudis. 2012. “Fully automated extraction and analysis of surface Urban Heat Island patterns from moderate resolution satellite images.” EGU General Assembly Conference Abstracts 14: 2006. Koen De Ridder, Bino Maiheu, Dirk Lauwaet, Giulio Ceriola, Iphigenia Keramitsoglou, Enrique Montero Herrero, Andrea Radius, Benedicte Dousset, Kostas Kourtidis, Jose Sobrino, Marc Paganini, Urban heat island intensity of Paris during the Summer 2003 heat wave, In Proceedings of ICUC8 – 8th International Conference on Urban Climates, 6th-10th August, 2012, UCD, Dublin Ireland. Giannaros, T.M., Melas, D., and Keramitsoglou I., 2010. “Implementing mesoscale atmospheric models for simulating urban heat island and estimating thermal comfort indices”. 10th International Conference on Meteorology, Climatology and Atmospheric Physics, 25 – 28 May 2010, Patras, Greece. Daglis I.A., I. Keramitsoglou, V. Amiridis, G. Petropoulos, D. Melas, T. Giannaros, K. Kourtidis, J. A. Sobrino, P. Manunta, J. Gröbner, M. Paganini, and R. Bianchi, Investigating the Urban Heat Island (UHI) Effect in Athens Through a Combination of Space, Airborne and Ground-Based Observations 10th International Conference on Meteorology, Climatology and Atmospheric Physics, 25 – 28 May 2010, Patras, Greece. Daglis I.A., S. Rapsomanikis, K. Kourtidis, D. Melas, I. Keramitsoglou, T. Giannaros, V. Amiridis, G. Petropoulos, J. A. Sobrino, P. Manunta, J. Gröbner, M. Paganini, and R. Bianchi, DUE UHI AND THERMOPOLIS 2009: Results of The Thermopolis 2009 Campaign with regard to the Urban Heat Island (UHI) Effect in Athens, ESA Living Planet Symposium, 28 June – 2 July 2010, Bergen, Norway.